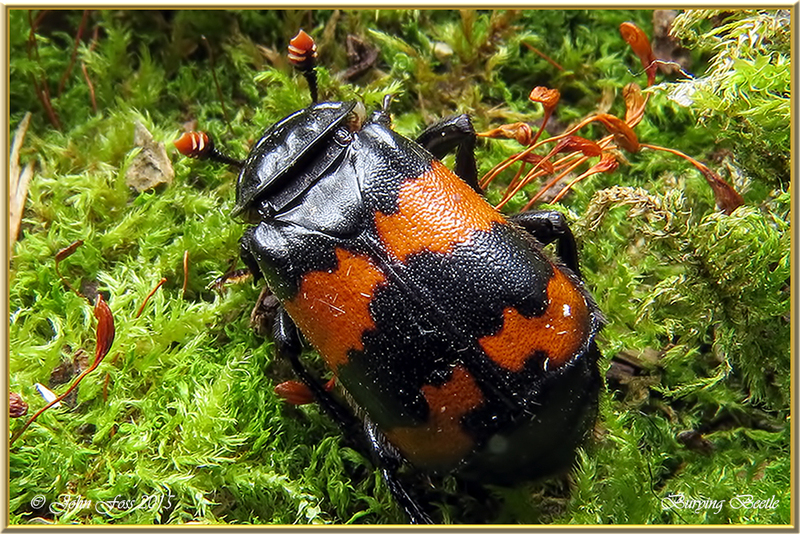 Burying Beetle - Amazing creatures. 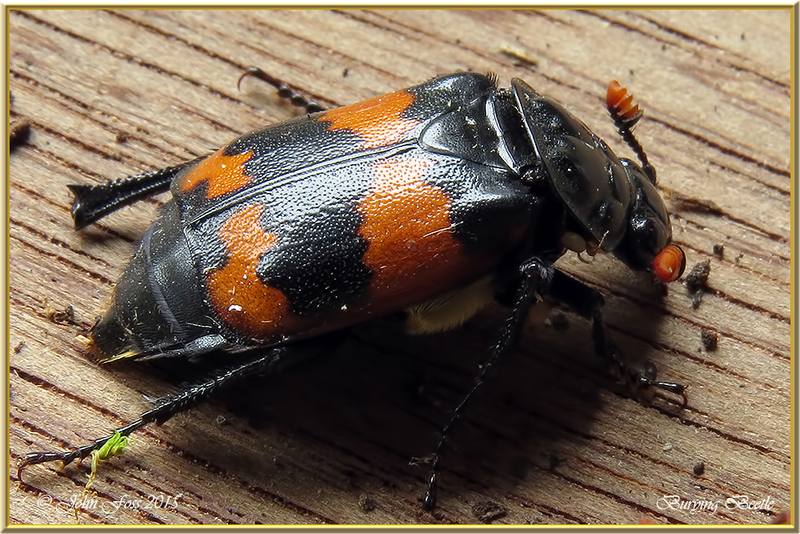 Burying or Sexton beetles feed on carrion like dead birds,mice and other animals by undermining the carcass until it is completely buried. Often working in pairs. They strip the carcass of all fur or feathers before laying eggs on or nearby it where they feed. They are devoted parents, both male and female feed the young larvae after hatching. They are reputed to a detect rotting animal body from a mile away due to having receptors in the antennae. They are attracted to light. 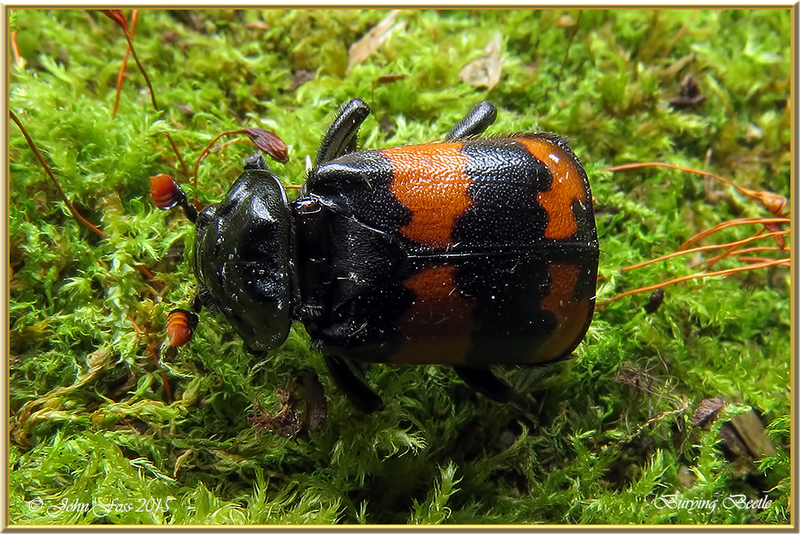 Observed at Greaghnafarna Co. Leitrim.